Mullingar Equestrian Centre as one of Ireland`s premier show jumping venues is renowned for its excellent on site facilities. The Fagan family bring generations of experience in breeding, training and riding sports horses to the operation of their equestrian centre and are constantly upgrading all their facilities. To ensure that shows can take place throughout the winter months we have a large indoor and all weather practice facilities with heated viewing gallery and restaurant which is very popular with all our riders and spectators. 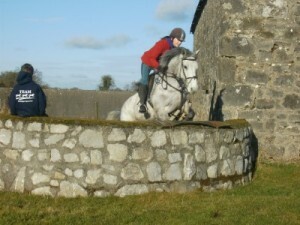 Training shows take place on Friday evenings starting with 60cm classes. New riders are always welcome. Inter school team events which we are running now for over ten years continue to attract enthusiastic riders from all over the country each school year. We have over 30 cross country fences on site. Our guests can enjoy leisurely rides around around our cross country track with height options available at several of the fences. Our annual hunter trials take place at Easter. All our facilities are available for hire for training and competition. 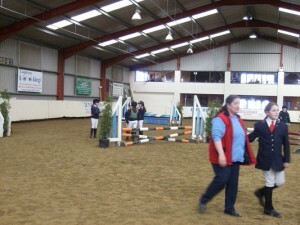 International trainers hold regular training clinics at the centre during winter months. Mullingar Equestrian Centre is approved by the British Horse Society, Association of Irish Riding Establishments and Failte Ireland.